NeuWave Medical invented and commercialized a minimally invasive device to ablate cancer using microwave energy. 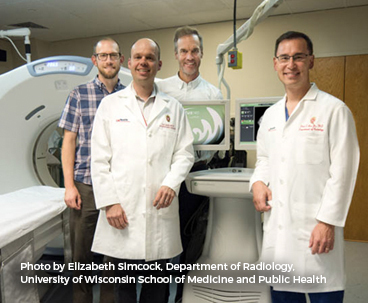 Venture Investors introduced University of Wisconsin co-founders Chris Brace, Dr. Paul Laeseke, Dr. Fred Lee, and Dan van der Weide to the company’s first CEO, former GE executive Laura King. In due diligence, our firm identified the right amount of financing to get to FDA clearance, tripling the amount of the company’s original request. Along the way, we built a world-class syndicate to support the company, adding HIG Bioventures and Versant Ventures in the Series B and C rounds. When the time was right, we helped recruit the company’s commercialization CEO, Dan Sullivan, who led the company to exit. Scott Button served on the Board of Directors until acquisition. With rapidly growing revenue, NeuWave Medical was acquired by Ethicon, a division of Johnson & Johnson.